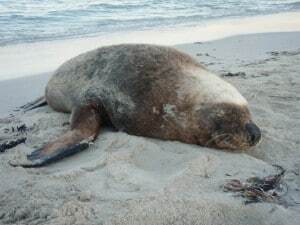 Snorkelling with seals and sea lions is one of the many attractions available in Western Australia. In many places of the world you have to pay to see and swim with these great creatures, but Carnac Island is free to visit. 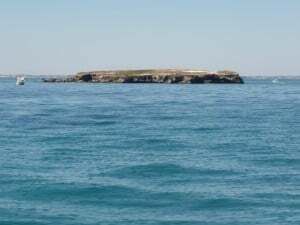 Carnac Island is quite large, but nothing in comparison to Rottnest Island. There is no accommodation on the island; it’s mainly in its natural state and is designed for attracting tourists for the day only. You are not allowed to camp on the island, but many people sleep on their boats near it when the weather is correct. Carnac Island is a nature reserve, but you are allowed to fish there. Just be wary of the seals and sea lions when you do it. 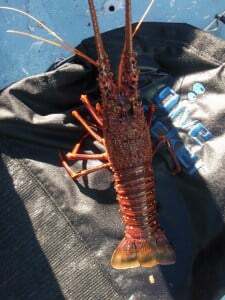 As far as I am aware you are also allowed to spearfish there, but we normally go at least 5 minutes drive away from the island just to be safe. 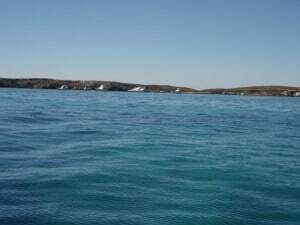 Carnac Island is located just off the Perth coast, in between Rottnest Island and Garden Island. There are a number of smaller islands around the area including Muestone and Stragglers Reef. There are also many other landmarks which range from reefs right through to sunken ships and anything in between! From the Woodman Point boat ramp it’s about 10 kilometres out (through Cockburn Sound), but you can do that in less than 20 minutes easily and much faster if you have a powerful boat. How do I get to Carnac Island? The only way to get to Carnac Island is with a boat. It’s almost 10 kilometres off the shore, so swimming is well and truly out of the question for most people. There are a number of people that kayak over there, but you want to pick the weather well before you go. Today, you can even get kayaks with little sails which allow you to sit back and allow the wind to do the work. This works exceptionally well as you can leave in the morning with the wind behind you, and come back when the sea breeze comes in with the wind behind you too! There are a few tours which go to Carnac Island, which are well worth going on but it’s up to you. Personally I much prefer having a boat to go where you want, meaning you can find all the best diving and fishing locations! However, if you don’t have access to your own boat you can either hire one or go on one of these tours. Where is the nearest boat ramp? 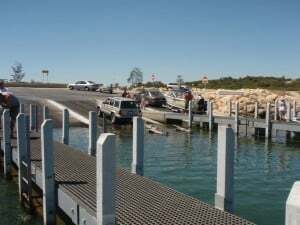 The most common boat ramp used for getting to Carnac Island is Woodman Point. This has several launch and retrieve lanes, plenty of parking and is well set up. There is even a store at the boat ramp which sells basic supplies and the most important requirement; bait! To get to the ramp you simply get onto Cockburn Road when heading south, and turn off at the big blue boat ramp sign. The only other boat ramp which is remotely close is in the river, but then you have to go 8 knots all through the river, and wait for any tug boats which are busy in the port! When should I visit Carnac Island? 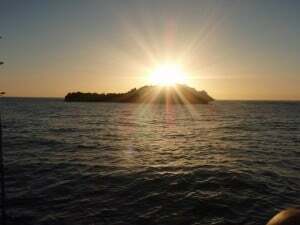 The best time to visit Carnac Island is usually in summer, but it depends on what you want to do. 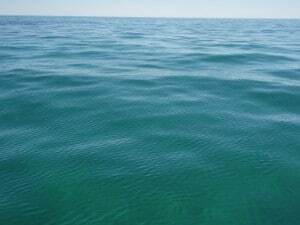 For relaxing, fishing and diving simply pick a day where the wind is down, and the swell is down and off you go. You will find that there is plenty of space to relax and a lot to see both above and below the water. Fish are plentiful and you will struggle to come home without a decent feed if you are a bit persistent with the gun or rods. If you don’t want to go on a tour to Carnac Island you can always hire a boat in Perth. There are a number of places that you can do this from, and even a 15 foot boat is fine for getting to Carnac Island on a reasonable day. Just remember that you need your skippers license, and to stay well clear of the reef; they can mess the bottom of your boats up very easily! 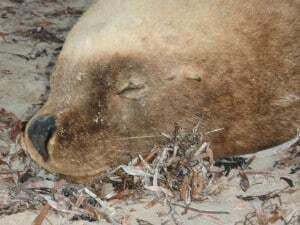 Also be aware that the seals and sea lions live at Carnac, so take it easy when you are near the island. More than just a few of these amazing creatures have been injured by spear guns and boats, which is a real shame. Where can I Moore at Carnac Island? Most people either Moore on the southern side of the island or they drive close to the beach on the eastern side. Of course, depending on the weather you can go wherever you want to, but just use the island as a shield for the most enjoyable time. A lot of people will pull their boats up onto the beach a bit too, and sit and have a picnic. Just be aware of the animals in their natural habitat! 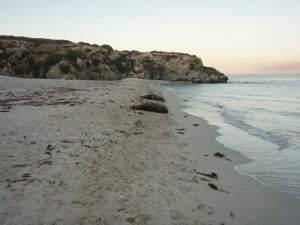 You are allowed to get off at Carnac Island, and the best place to do this is on the east side where it is usually protected, the bottom is sand and the sea lions sleep there on the beach. Give these a bit of space, or they will get up and growl at you. They are wild animals and at the end of the day you are in their habitat. In saying this, you can get close enough to take a few good pictures, and they are usually very docile. Of course, this might change when they have their mating season etc, so just respect them. I would highly recommend that you don’t go anywhere on Carnac Island except the beach, as the island is ridden with Tiger Snakes. These are incredibly dangerous if you get bitten, and as such you are better off staying near the water. Often there is a fence up on the beach, especially when the birds are nesting. This island is a great place, but it belongs to various wild animals and that’s how it should stay. Simply having a location which is not accessible to most people makes snorkelling much better. If you have the privilege to get to Carnac Island you will thoroughly enjoy the snorkelling. The fish are abundant, and the sea lions and seals make it interesting. There are plenty of good coloured corals and marine life around the place too, so don’t be afraid to have a look! You can dive on any side of the island, but we found the west side to be the best. You can swim around all of the rocks and ledges, or you can go out further west and find a patch of ground which is lumpy and jump in. You will be surprised at what exists underwater in the middle of seemingly nowhere! Alternatively, head over to Muestone (the island slightly further North West) to have a peak. There is a great reef there which has a heap of fish, and again you can have a bit of protection if you pick the right place to throw the anchor in. Straggler’s Reef is the next lumpy section you can see further west sticking out of the water. I was surprised that there wasn’t many good fish to shoot near there, but we had much better luck further out from Stragglers Reef. There is plenty of ocean; just find your own little share and don’t be afraid to explore a bit! The seals and sea lions are a lot of fun to swim with, but give them their space too. At the end of the day they are wild animals and can be unpredictable. You shouldn’t feed or chase them, but allow them to swim around you as they wish. Some days they are very playful and will stick around for a long time when you are swimming, whilst other times they will get going pretty quickly. I wouldn’t suggest trying to touch them either; they have a very nasty bite if you threaten them! On the beach they tend to be slow and quiet, but if you get too close to them they will let you know very quickly. Often they jump up and swing towards you, or growl and bark. They can move very quickly when they want to, so don’t annoy them! In terms of finding a place close to Perth in a boat, Carnac and Garden Island is about as good as it gets. The island itself is popular for people to Moore at and can be a little fished out, but if you head away from the island just a few hundred metres you will surprise yourself with what you see. Shark Mackerel, Blue Morwong, Skippy, Tailor, Whiting, Herring, Pike and various other species are common in the area, and you won’t have a hard time trying to get them either. A bit of burly and the correct bait and you will be pulling them up one after another. I went out a few weeks ago and watched 3 people in a boat pulling in tailor that were slightly fewer than 50 cm long every minute or so. They must have caught about 30, and were just throwing them back as they caught them. The sheer fun of fighting tailor was obviously enough for them, which is good to see. Don’t be afraid to drift either, as you will find some good spots by doing this. As far as I am aware you are allowed to Spearfish around Carnac Island. If anyone has any comments regarding this I would love to know. I spent a long time trying to find the right information regarding spear fishing at Carnac on the fisheries department website without much luck, and calling them is useless too. However, to be safe we always go quite a distance away from the island with our guns, as you usually have more luck anyway. Carnac Island is truly an awesome place to spend the day, and if you haven’t been I would highly recommend it. The Sea Lions are huge, and amazing to watch both on the beach and in the water. Carnac is only a few minutes’ drive by boat too, which means it’s a good location. Just be sure to respect the animals and you will have a lot of fun! You can get to Carnac Island on one of the Discover West tours. It’s not cheap though! I am not sure whether they will let you snorkel with the sea lions, as they can be a bit aggressive at times. Was wondering if its ok to jet ski to carnac island from Rockingham. To be honest I have no idea, but don’t see why you couldn’t. You would have to contact the water authorities to find out for sure. 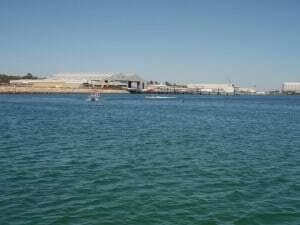 If you aren’t water skiing behind them though, I believe you can ride them anywhere (except the Swan River) providing you have the right safety gear. A lot of people deck them out for fishing, and take them way off the coast. Carnac isn’t that far off the coast – would be a great ride.